Memorandum of Understanding (MoU) has been signed between Chief Minister of Maharastra, Devendra Fadanvis, and Prime Minister of Quebec province of Canada, Philippe Couillard, to increase economic cooperation and welfare of tribal community in the state. Information technology (IT), biotechnology, artificial intelligence and welfare of the tribal community are the key areas of focus under the MoU. India will host 23rd the European Union Film Festival (EUFF) from 18th to 24th June, 2018 at the Siri Fort Auditorium, in New Delhi. With a selection of 24 latest European films from 23 EU Member States, this years’ film festival brings some unusual stories for the world cinema enthusiasts. 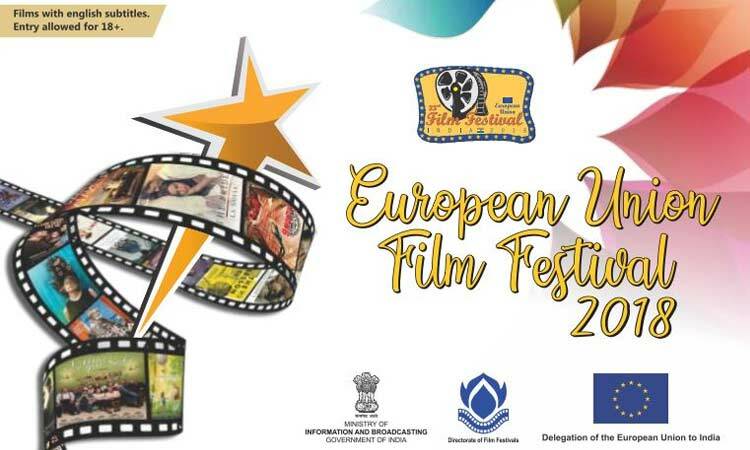 The European Union Film Festival is organized by Directorate of Film Festivals, Ministry of Information and Broadcasting, Government of India partnering with the Delegation of the European Union and embassies of EU Member States in various city film clubs. The films will be showcased in 11 Indian cities: New Delhi, Chennai, Port Blair, Pune, Puducherry, Kolkata, Jaipur, Visakhapatnam, Thrissur, Hyderabad and Goa from 18th June till 31st August. India will host 23rd the European Union Film Festival (EUFF) from 18th to 24th June, 2018 at the Siri Fort Auditorium, in New Delhi. Government of India has approved financial assistance amounting to Rs. 5.5 lakh per family to West Pakistan Refugees (WPRs). 5,764 families of West Pakistan Refugees settled in the State of Jammu and Kashmir will be benefited from this decision. The scheme comes into effect from June, 2018. The amount of Rs. 5.5 lakh per family will be deposited in the Bank accounts of eligible beneficiaries based on the authentication by the State Government of J&K. For smooth implementation, the State Govt. will also appoint a Nodal Officer for this scheme. Full expenditure would be borne by Government of India for this scheme. It may be recalled that the announcement regarding financial assistance of Rs. 5.5 lakh to WPRs was made by the Union Home Minister Rajnath Singh during his recent visit to Jammu and Kashmir. India’s IT major Tata Consultancy Services (TCS) became first company in India to close day’s trade with market capitalisation (m cap) of over Rs. 7 lakh crore (over $103 billion). M cap is value of company that is traded on stock market, calculated by multiplying total number of shares by present share price. TCS achieved this feat after its board approved share buyback of 76,190,476 equity shares of Rs. 1 face value at Rs. 2,100 per share for about Rs. 16,000 crore. Japan’s cabinet adopted an economic plan that would allow more foreign workers as the rapidly ageing country tries to make up for its declining workforce. Under the plan, visa requirements would be relaxed in sectors facing severe labour shortages such as nursing, agriculture, construction and transport. The workers would only be allowed to stay in the country for up to five years as visitors, not as immigrants. They would not be allowed to be accompanied by family members. China imposed additional duties on $50 billion worth of American products, a day after US President Donald Trump slapped a stiff on Chinese goods worth a similar amount, triggering a full fledge war between the world’s largest economies. The UK High Court has ordered embattled liquor tycoon Vijay Mallya to pay a minimum of 200,000 pounds towards the costs incurred by 13 Indian banks in their legal battle to recover alleged dues. As part of the judgment, the court has also ordered Mr Mallya, 62, to pay costs towards registration of the worldwide freezing order and of the Debt Recovery Tribunal of Karnataka’s judgment in Britain. Prime Minister Narendra Modi said that the Governing Council of the NITI Aayog will discuss the implementation of key policies relating to various sectors today. Issues, including measures taken to double farmers’ income and progress of flagship schemes, will come up for discussion. The development agenda for ‘New India 2022’ is also expected to be approved in the meeting, according to it. The council, apex body of the NITI Aayog, includes all the chief ministers, lieutenant governors of union territories, several union ministers and senior government officials. The Governing Council is expected to take up important subjects, progress of flagship schemes such as Ayushman Bharat, National Nutrition Mission and Mission Indradhanush; development of districts; besides celebration of the 150th birth anniversary of Mahatma Gandhi. President Ram Nath Kovind, in his first visit to countries outside Africa, is expected to spell out the governing principles of India’s Europe policy as he embarks on a tour of Greece, Cuba and Suriname next week. Diaspora issues will dominate Kovind’s visit to Suriname where he is scheduled to celebrate the international day of yoga with Indian expatriates. 1. With which of these countries Cheif Minister of Maharastra, Devendra Fadanvis, signed Memorandum of Understanding (MoU) to increase economic cooperation and welfare of tribal community? 2. In which of these countries 23rd European Union Film Festival (EUFF) is going to held? 3. Who announced the financial assistance to WPRs in J&K? 4. Who is expected to spell out India's Europe policy? 5. For how many years workers will be allowed to stay in the country according to economic plan of Japan?